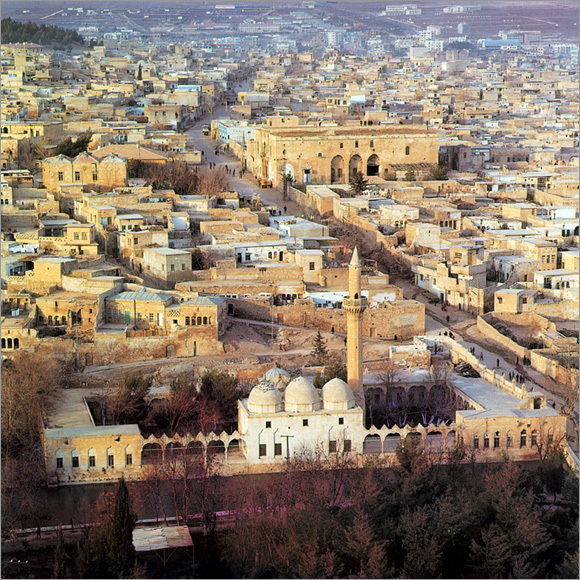 Urfa, known in the past as “Ur” or “Edessa”, is named as “the city of prophets” since it is the place where Hazreti Adem had first farmed, where the first settlement after Noah’s Flood took place and the city where many prophets like Hz. Ibrahim, Hz. Eyyub, Hz. Suayb and Hz. Elyesa had lived. Abraham (Avrom) who is accepted by Jews, Christians and Muslims as the father of their belief system and very much loved by them, was born in Sanliurfa and started to spread his belief there and he was saved from the fire he was thrown to there. The cave where he was born is an important visiting area. It is also believed that the lake with fishes just next to Halil ur-Rahman Mosque was formed by the fire that turned into water and the woods that turned into fish.